Jerry Woodall is an electrical engineer and a pioneer in the research and development of compound semiconductor materials and devices. Fully half the world's annual sales of compound semiconductor components are made possible by Woodall's research legacy. He invented the red LEDs used in indicators and stoplights, the infrared LED used in CD players, TV remote controls and computer networks, the high speed transistors used in cell phones and satellites, and the weight-efficient solar cell. Currently the C. Baldwin Sawyer Professor of Electrical Engineering at Yale University and the Chief Science Officer of LightSpin Technologies, Inc., Woodall has conducted pioneering research in compound semiconductor materials and devices for more than four decades. Most of the early and middle parts of his career were spent at IBM's Thomas J. Watson Research Center where he rose to the rank of IBM Fellow. It was there that he built the first high purity single crystals of gallium arsenide, an innovation that would prove to be the foundation of much of his later discoveries, including the world's most important compound semiconductor heterojunction. His work has also spawned new areas of solid-state physics, including the semiconductor superlattice, low-dimensional systems, resonant tunneling, and mesoscopics. In 2001 President Bush accorded Woodall the National Medal of Technology "for the invention and development of technologically and commercially important compound semiconductor heterojunction materials, processes, and related devices, such as light-emitting diodes, lasers, ultra-fast transistors, and solar cells." 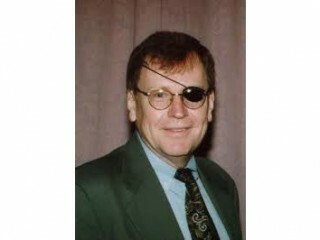 Woodall has also received a number of honors and distinctions for his work including 9 NASA certificates of recognition, five major IBM Research Division Awards, 30 IBM Invention Achievement Awards, and an IBM Corporate Award in 1992 for the invention of the GaAlAs/GaAs heterojunction. He holds 67 U.S. patents for his inventions. Ironically, Woodall recalls that, in his youth he was "on no one's list as a person most likely to succeed." A poor to average student, he flunked his "E&M" course at MIT and graduated with a C average. Luckily his undergraduate thesis advisor, Morris Cohen, recognized Woodall’s lab talents and encouraged him to continue. View the full website biography of Jerry M. Woodall.